You can enjoy the cost effective benefit of tarmacking at your home. Tarmac is easy to maintain, long lasting and durable enough to withstand regular vehicle use. We can provide you with a money saving investment for all your paving areas. When we think of tarmac we often think about it in its traditional, black form. At A and A Elliott in Basildon, we have other colours and styles to complement your property including red tarmac and shingle finishes for you to choose from. Like many good ideas tarmac has been used for a long time and is still used today. Invented over a century ago tarmac is still the most popular choice for surfacing roads and driveways due to its hard wearing properties and relative ease to install. 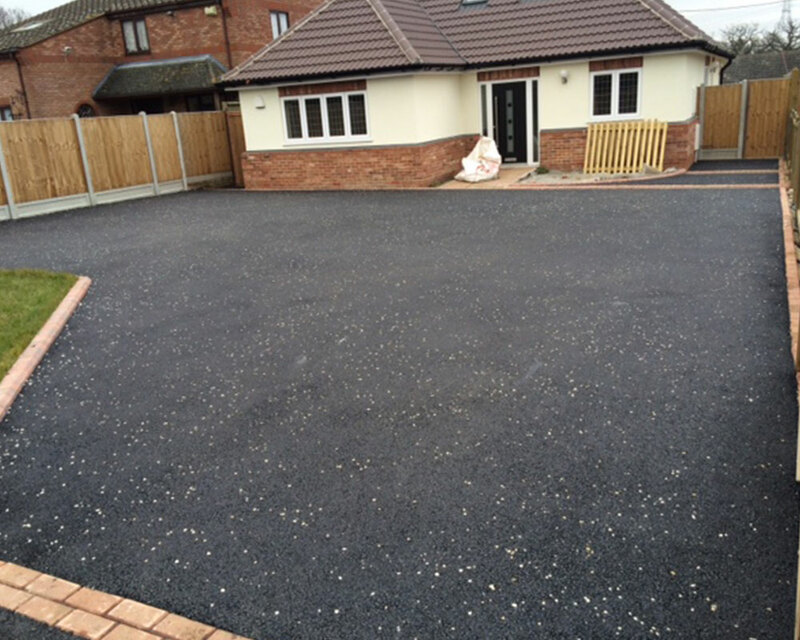 Many of us have been put off with poorly laid or unfinished macadam driveways but the reality is that a good quality macadam driveway can offer many benefits in the long term. 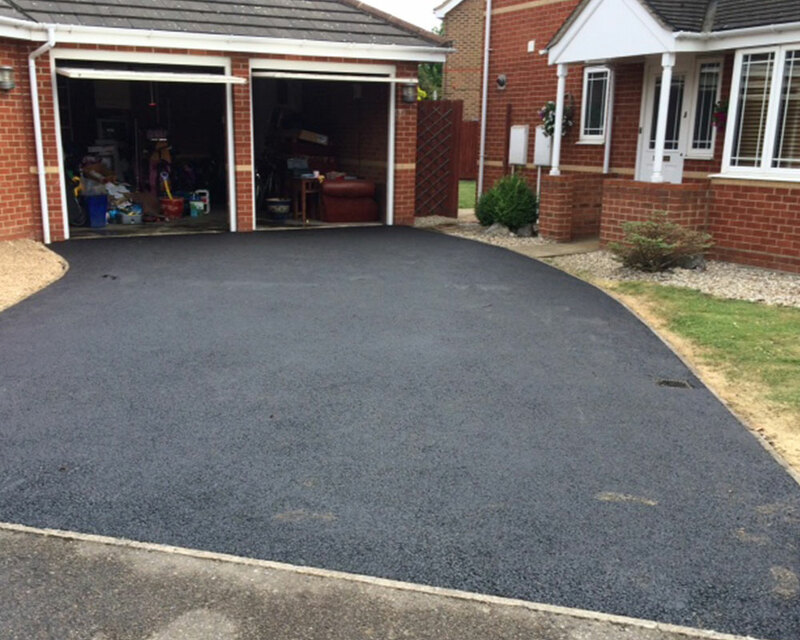 Aside from the improved appearance from a properly finished driveway you can also save money over time from needing to have to replace or resurface your drive. 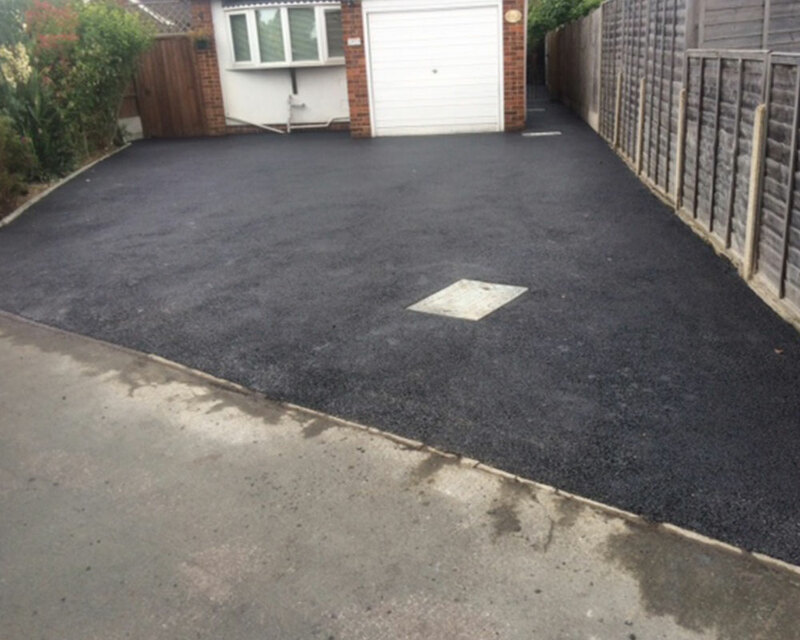 A properly laid tarmac driveway is also much safer than alternative materials as the surface is smooth and even meaning that any likelihood of damage to vehicles is significantly reduced. When creating tarmac driveways we use tried and tested methods to ensure you receive the highest standard of quality upon completion. Before work is implemented we will assess the site and identify any potential problems or areas of uneven ground. Following this we will prepare the site and create the defining borders and shape of your driveway by laying edging kerbs on a bed of concrete. After the edging kerbs are firmly set in place and the concrete has dried we then move onto the sub base. The sub base is added between the boundaries set out by the edging kerbs and is then levelled out to ensure a firm and even base is achieved for the driveway to take shape. Once the sub base is prepared we then move onto the two layers of macadam that build up your driveway to the correct level. The first layer of macadam is fairly coarse and made from larger pieces to create a tough and rugged layer. The next layer is made from smoother and smaller pieces of macadam to give a more appealing appearance and textured feel, perfect to adapt to the wheels of any vehicles that will pass over it. Depending on your personal preferences we can then add additional style choices, decorations and flourishes including different styles of kerbs and coloured tarmac choices. To find out more about the different customisation options we have please Get in touch with a member of our team.